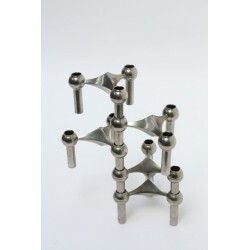 Set of 5 vintage candle holders made in chrome, type S22. 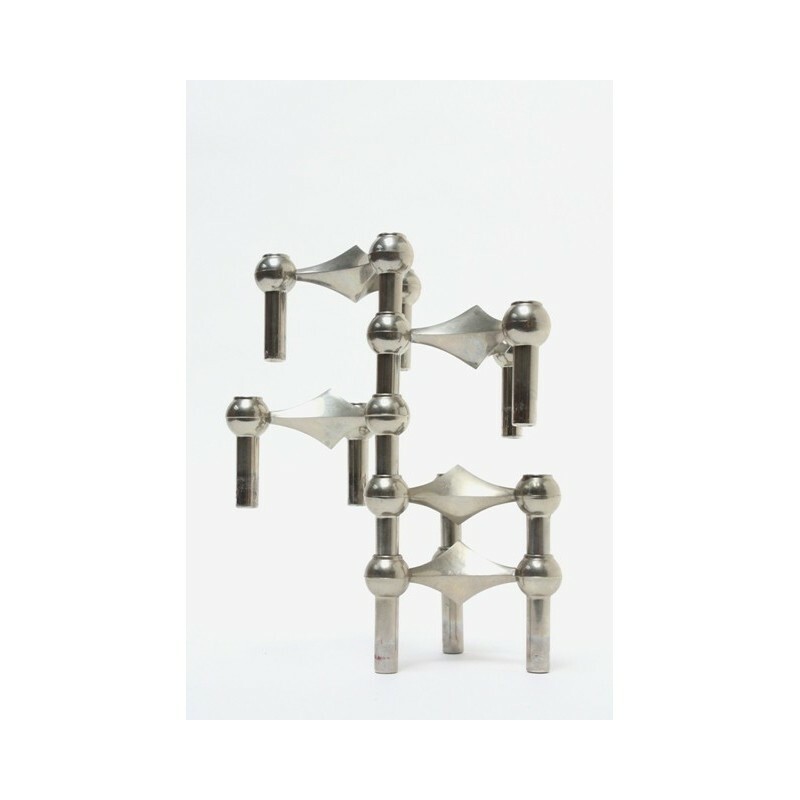 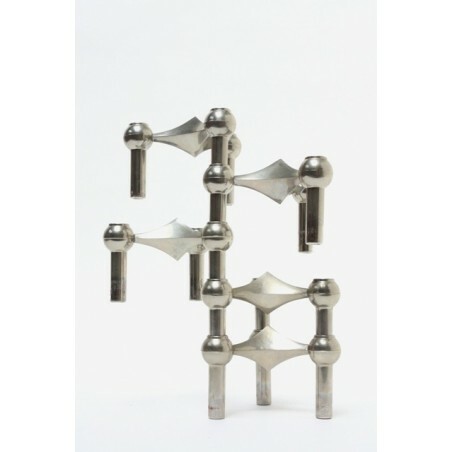 The candle holders are designed by C. Stoffi and F. Nagel in 1965 and manufactured between 1965 and 1970 by Nagel, Germany. 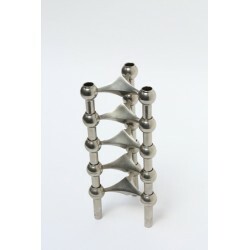 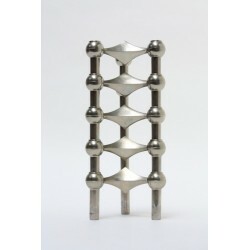 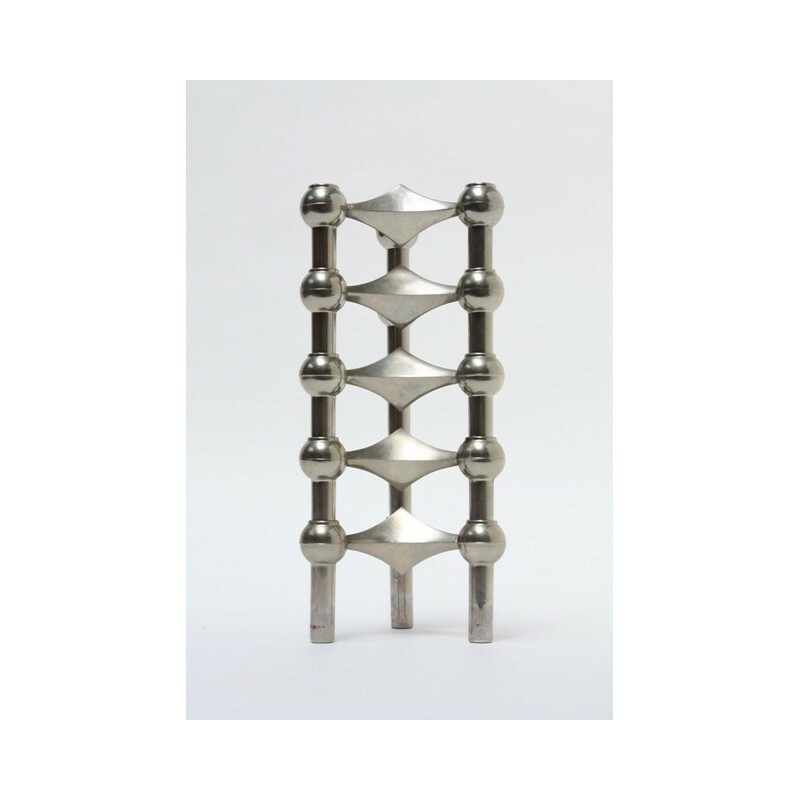 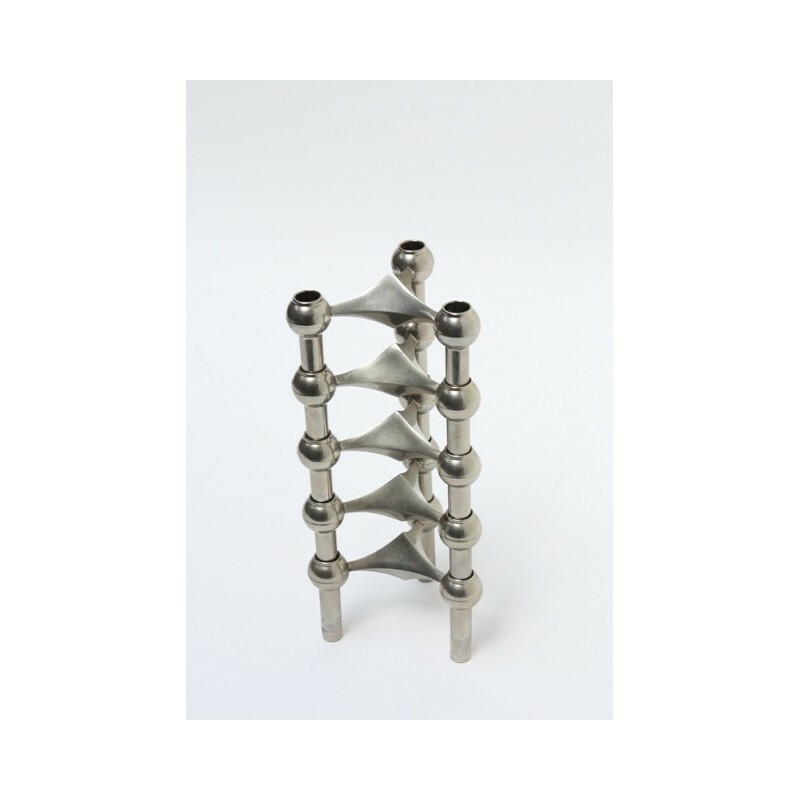 The luxury candleholders can be stacked by your own descretion, they are also an art object for your home. 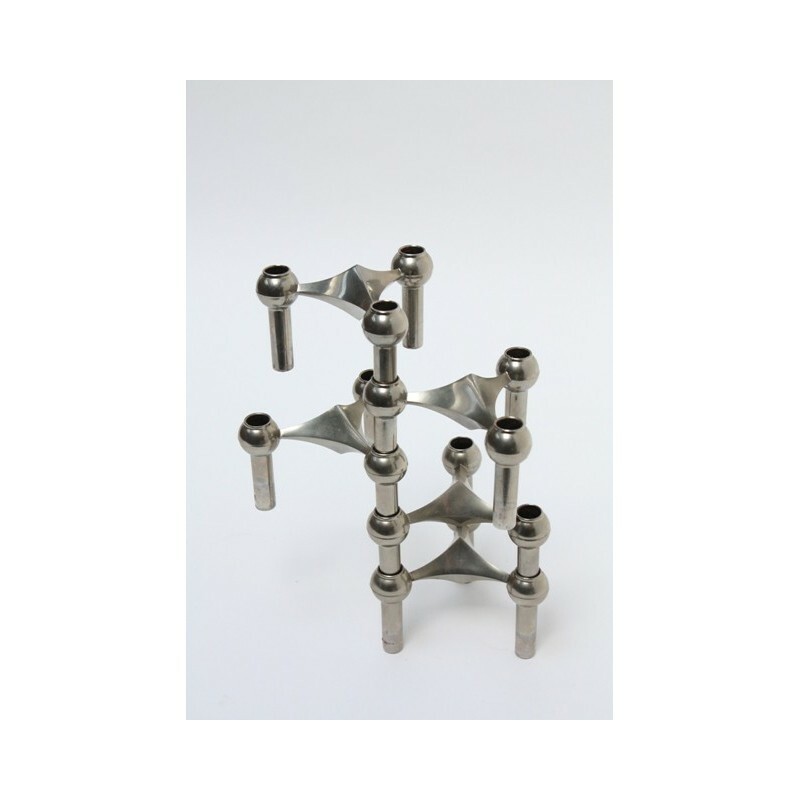 The candleholders are in a good condition.